The post 257: 3 Writing Tips That Helped Kelly Grow Her Readership by 500% appeared first on ProBlogger. In this episode we continue our Blogging Breakthroughs series, this time with a story from my friend Kelly Exeter. 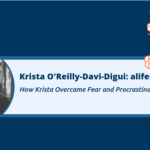 Kelly is a regular speaker at our events, has contributed ProBlogger content as a guest writer, and has been a guest on this podcast several times. Today, the story Kelly shares is a great companion piece to the “How to Become a Prolific Content Creator” episode. Her blogging breakthrough is about going from someone who is a good and proficient but bland writer with a plateauing audience to someone who writes with more personality and in a way that’s magnetic to readers. A lot of readers. To get to that point, Kelly was willing to find someone to critique her writing. We all know it can be difficult to accept criticism, but it’s well worth doing. Sometimes you write something that has good information and is well written, but doesn’t connect with people. It’s too vanilla. It isn’t read, commented on, or shared. The problems Kelly experienced are probably things many bloggers can relate to. 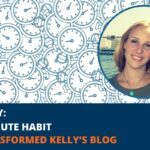 By improving her writing, Kelly increased her reader traffic from 2,500 to 15,000 a month – a 500% increase. It also helped her make about $100,000 in off-blog income. Darren: Hey there and welcome to episode 257 of the ProBlogger podcast. My name is Darren Rowse, I’m the blogger behind problogger.com. 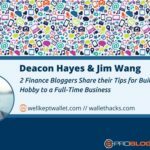 A site dedicated to help you to create a great blog and to build profit around your blog. You can find at problogger.com where you’ll also our eBooks and more importantly probably our courses, our starter blog course for those of you who haven’t yet started, but also our 31-Days To Build A Better Blog course which is ideal for those of you who are early in the blogging or even intermediate, and advanced bloggers that need a bit of a kick start for your blog. 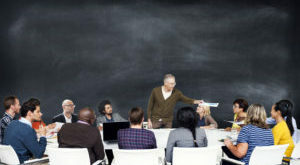 Just look for the courses tab at problogger.com. Today, we’re going to continue our blogger breakthrough series of podcast with a story from my friend, Kelly Exeter. Kelly is going to be familiar to many of you because she has regularly spoken at our events here in Australia. 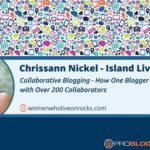 She has contributed guest content on the ProBlogger, the blog but also has been on this podcast a number of times. I interviewed her back in episode 193 on how to be a prolific content creator. That was a hugely popular episode, one of the more popular interviews that I’ve done. You can find a link to that in today’s show notes. Today she’s going to share a story that I think it’s a great companion piece to that interview that I did. I do encourage you to listen to both if you haven’t listened to the previous one or if you want to relisten to it, too. Today, Kelly is going to share a story about how she went from being a good proficient, but a bit bland writer whose audience had plateaued, to someone who was writing with more personality and was writing in a way that was more magnetic to readers. Ultimately, it attracted a lot more readers. 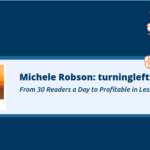 she’s going to tell you exactly how many readers she had, and how many she went to just by implementing these three practical tips that I love. I really love the way she’s expressed each of these, and I want to tease them at a little bit more at the end of her seven-minute story. Do stay tuned to the end, you’ll find out how much traffic she went from at the end, but also I will come back and wrap this show up with a few thoughts of my own. You can find today’s show notes where you will find a link to Kelly’s site, kellyexeter.com.au. You’ll also find a link to that previous interview I did, and a full transcript of today’s show, you’ll find it at problogger.com/podcast/257, now here’s Kelly. Kelly: Hi, my name is Kelly Exeter, you can find me online at kellyexeter.com.au and I have been blogging for eight years. Before I share my blogging breakthrough, I need to emphasize that the point of my blog is always being able to showcase my abilities as a writer. I’ve always known that one day, I wanted to be writing books, and making income from people buying those books. I needed people to fall in love with my writing. About three years into my blogging journey, I was pretty happy with where I was at. Some people seemed to like my writing, but I’d hit a bit of a plateau in that my readership wasn’t really growing anymore. She meant that while my post contained useful information, they were quite bland and hard to distinguish from any other reasonably well written post on the topic. I was also writing in a very safe fashion because I was so scared of offending someone. My writing it was littered with caveats like maybe, and might. Finally, I wasn’t letting my natural voice come through. This is because there were writers I really admired whose tones and approaches I was trying to emulate. I was trying very hard to sound like them and not allowing my posts to sound like me. So, what did I do to make my writing less vanilla? The first thing I did was I started handwriting first drafts and those first drafts were idea dumps more than anything. So, previously I’d have an idea, and then I’d outline and post that idea, and then I’d write the post to that outline, and what emerged was something like a school essay. It’s very proper, it was good information, but there was no personality, and sometimes, the idea wasn’t actually that good, but because I’ve outlined the post, I would persist with it, and write it, and publish it anyway. What handwriting those first drafts did was it removed my ability to edit as I went. Instead of stopping, and starting, and finessing each sentence, and getting blocked when I couldn’t get a sentence right, I just wrote, just writing. Quite often I find myself drifting away from the original idea I had to a new much better idea or at the very least, a new much better way of saying the thing I was trying to say. Bottom line, approaching my first draft writing this way meant the core idea behind each post was stronger. The second thing I did was I stopped worrying about offending people, which is hard to do because I don’t like offending people. I once heard someone say that, “You know you stand for something when you become simultaneously magnetic and repellant.” Because I wasn’t willing to be repellant, because I would keep sitting on the fence not wanting to offend anyone, it wasn’t clear what I stood for. Before writing a post, I started making sure the idea I was posting was something I could stand behind very strongly and then I made it clear what my stance was. I didn’t vacillate, I didn’t say maybe, and might, and sort of every second sentence. Then finally, I let myself write the way that I talk, which is much harder than it sounds because I feel my natural tone is overly earnest, and I kind of wince a bit when I hear myself speak, and this is kind of why I was forever trying to emulate near the reflectiveness, and cleverness, and snappiness of my writing idols, but in trying to write like other people, the result always came across quite forced and inauthentic and a bit bland. 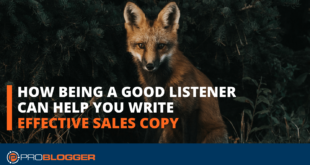 Again, it’s entirely possible for your writing to be technically sound and convey great information, but also be very bland, and when this happens, it’s much harder for the reader to connect with you, and if the reader doesn’t connect with you, it’s going to be very hard to achieve any kind of blogging success. There’s so much competition for your readers these days. They don’t tend to stick around and read bland stuff. Even if they read it, they certainly don’t share it. So the upshot of all of this was, I started writing in my own voice rather than trying to write like other people. If you too feel your writing is a little vanilla, and you’d like to be able to differentiate yourself better, here is a quick summary of those three things I just mentioned about the three things that helped make my writing better. One, allow yourself to write messy first drafts instead of perfect first drafts because messy first drafts throw out much better ideas. For example, anyone can write a blog post around how to be more productive at work. When you go beyond that first idea and write a messy first draft as I did, you might find yourself writing, how I get all my work done in five hours a day. So it’s much stronger idea, and that idea led to a post of mine that has been shared thousands of times. Number two, don’t sit on the fence. When you have found your way to a better idea, stand strongly behind that idea because doing this will draw the right people to you, and repel the people you’re not trying to attract. Remember, we don’t want to speak to everyone, you only want to speak to your people. Number three, write the way that you talk. Have faith in your own voice. Remember, your voice is something no one else has. It’s the easiest way to distinguish yourself from others, and again, some people will love your voice, and some people will hate it, and that’s okay because it’s better to have 50% of people love your work and 50% of people hate it than have 100% of people being quite indifferent to not care in one way or the other. Now, let’s talk about results. What is the end result of me doing these three things that I’ve just outlined above. Well, within three months of implementing those things into my writing, my monthly readership jumped from 2500 readers a month to 15,000 readers is a month. It got the ball rolling towards a scenario where I was able to generate more than $100,000 on of blog income. It was definitely worth it for me, and I’m sure it’ll be worth it for you, too. Darren: Thanks so much to Kelly Exeter who has shared those tips, you can find her at kellyexeter.com.au. There’s a lot that I love about these particular episode and I knew that she would have a lot of good things to say and that’s why I invited her to help us kick off this series. The first thing I love and she didn’t really mention it as a tip at the end, but I think it’s a great tip, is to find someone to critique your writing. Kelly stepped out of her comfort zone into that uncomfortable space of asking someone to tell it like it is about her writing. This is not easy stuff to hear when someone tells you, “You’re a good writer, but you’re a bland writer.” That must have been hard to hear, but if she hadn’t have stepped into that space, she wouldn’t be where she is today. I think it’s well worth doing, finding that type of person who can give you that type of advice. I think the problem that Kelly has is something that many of us probably can relate to. I think most blogs go through this, whether they articulate it in exactly the same way. I see a lot of people with plateaued traffic that’s certainly something, it’s not always to do with your writing voice, but I also see a lot of writers and I include myself in this, you go through periods where you become a good writer, but your writing is bland, and it is vanilla. This is something I think a lot of us need to keep coming back to, and it’s easy to slip into this type of writing. Your blog always becomes a bit of a machine, you keep churning out content, and it can get to a point where it does become a little bit bland. It might have useful information, it might be technically well written, but I don’t know if you’ve ever had that experience, you put something out and it just doesn’t do anything, it doesn’t connect with people, as a result it doesn’t really get read, it doesn’t get commented on, it doesn’t get shared. This is one of those things that I encourage you to really go back to look at in your writing, if you have got to that plateau in your content, maybe this is one of the reasons that’s behind it. Kelly’s three tips are fantastic. First one, writing messy drafts. I’ve seen that in practice over the last few months of working with Kelly. I’ve been working with Kelly on a book and she helped me with the medium articles that I spoke about in episode 255. That article started really messy. In fact, we probably went through a few first drafts which were kind of random collections of ideas, previous stories that I told, and no real core idea. 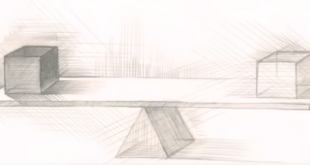 In playfully drafting that article, and exploring all kinds of tangents as it developed, many of which didn’t actually make it into the article itself, the core idea began to form. I don’t think it would have gotten to the point that it is, if we hadn’t have had sort of that messy start to it. I’ve never done what she said there, to handwrite the first drafts. I can see how that would really help. I personally fall into the trap of editing as I write. I try not to do that because I do know that it stifles my ideas in the flow, but it’s something like I naturally do because it’s so easy to do when you’re writing on your computer, you can just delete things, rewrite things, and it does stop the flow. It’s something I’m probably going to give a go to do that handwriting type of thing. I can see how that would work quite well. The second tip there was not to sit on the fence, and this is again something I can relate to. My temptation is to not to want to offend anyone. I don’t like to have people react negatively to a content. I think it’s a natural reaction, but as a result of that, I try to please everyone, and my writing at times can feel like it has lots of disclaimers, explanations, caveats, excuses through the content, and again, that’s not easy to read. I don’t think people want all of that, they want to get to the point. Getting past that and realizing that your content doesn’t have to please everyone is a great lesson. It does create stronger writing, it creates that reaction in your readers. That sometimes does magnetize people, and sometimes repels them but as Kelly says, it doesn’t leave them feeling indifferent, and that’s what you don’t want. You don’t want indifferent readers. It sometimes means that you need to push into I guess, areas that you feel a little bit more uncomfortable, but I don’t think it means you need to be confrontational, you can still write in a nice voice, you don’t have to be controversial just to the point of it and just be you which leads to that last tip that Kelly shared of writing the way you talk. This is the big lesson for me in the early days of my blogging. I tried for many years, not for many years but for many months at least to write in the style of other people that I saw and admired. I realized my voice was much more conversational as well. It’s something I’ve noticed many times with successful bloggers that I’ve met in person. Often there are little quirks and funny words and expressions that you see in their content, it’s just an extension of what they say in a conversation, and as I think about this, Vanessa, my wife, her blog, Style and Shenanigans, she uses a language that she talks in, and it’s kind of quirky at times, but I think it actually stands out. I’m sure it does annoys some people, but I’m sure, it also really connects with other people and that’s why she’s got a very engaged audience, it shines through her personality. I love the advice on that Kelly has given today. I’ve seen the results of these advice in her writing, it really has changed over the years. I’ve never heard the traffic change there from 2500 visitors a month which is great to 15,000 a month, that’s a 500% increase in traffic in just a few months. You can see there the impact that this has upon your readers. I know the times that I’ve gone with this advice almost intuitively, I’ve seen that same thing happened as well. Thanks so much to Kelly. You can find more from Kelly at kellyexeter.com.au. There’ll be a link in today’s show notes to that as well. I’ll also include a link in today’s show notes to the interview I did with Kelly back in episode 193 where she gave some really good advice on becoming a more prolific content creator. That was episode 193, you’ll find it in iTunes and in the show notes. The show notes are at problogger.com/podcast/257 there’s also full transcript of today’s show there. Thanks so much for listening. Next week, we’re going to get back into the blogging breakthrough series. You’re going to hear from some of the listeners of this podcast. The first two episodes have been friends of mine who I invited to kick off the series, but we’re going to get into some listeners in the coming weeks, looking forward to sharing some of those stories with you. Lastly, if you want to head to one of our events, Kelly is a speaker at many of our events. We’ve got an event coming up in Orlando, Florida, late September. If you go to problogger.com/success you’ll see the Success Incubator event that we’ve got running up. There will be some presentations at that event, but there will also be a lot of masterminding. So if you want to check that out as well. 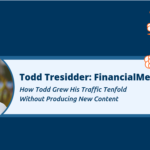 The event is actually happening just before FinCom which is a conference for financial bloggers, and if you’re one of those bloggers as well, I will be speaking at that event as well. Those two events held at the same venue, running into the other, our event is first, so that might be a good one to check out as well if you’re in that space. Thanks for listening today, chat with you next week on the ProBlogger Podcast.